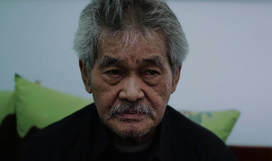 The film tells the story of Leon Agusta (1938-2015), a poet, cultural activist, and playwright who was born in Sigiran, Lake Maninjau, West Sumatra. Leon's craft was fueled by pain of the past from the tragedies, betrayals, and the many instances love has touched his life. His activism was driven by his love of his birthplace and the betterment of others. 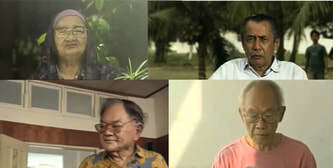 Semua Sudah Dimaafkan sebab Kita Pernah Bahagia sees Paul Agusta; Leon's youngest son recounts what he remembers of his father as well as following him to trace back Leon's early years to find the roots of his passion and pain to further know the complex individual that was his father, Leon Agusta. In 1976, Sutardji Calzoum Bachri, The President of Indonesian Poets, reads his poetry collection, Amok. This reading is recorded and archived. 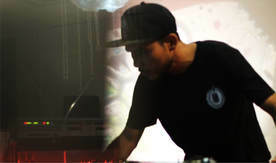 37 years after, Ari Rusyadi, the director, invites DANGERDOPE, an Acehnese hip hop DJ and Iyo, a visual artist, to collaborate in a music performance which will be filmed. This performance is held in H.B. Jassin's Centre of Literary Documentation. This film shows the creative process of the musical interpretation: from archive preparations until the show itself. The Suharto regime has been holding power in Indonesia for over 30 years, shutting down democracy time and time again. Highly critical of the regime and unafraid to speak his mind, Wiji Thukul is a poet whose words are often yelled proudly by the crowd during political protests. 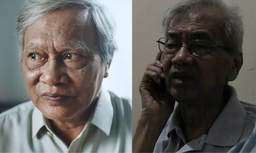 When riots break out in Jakarta in 1996, he and a few other activists are accused to be responsible. 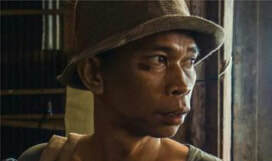 Forced to flee, Wiji escapes to Pontianak in Borneo where he hides for eight months, sometimes living with complete strangers. There, he has to change his identity several times, but continues to write poetry and short stories under a pen name. In the meantime, in Solo, central Java, his wife, Sipon, lives with their two children under constant surveillance. literature around the time of independence. roles and other social conventions. is famed for his unflinching social criticism and piercing sense of satire. is best known for his work as a biographer. and restlessness that spans almost five decades. political prisoner, none of his jailors have stilled his voice. commitment to freedom of expression. considered among the best prose of the 1970s. reputation for his public reading skills. The writer and painter Danarto (b. 1940) became known in the 1970s. artist and his study of Sufi mysticism. for his work with the news magazine Tempo. social roles prescribed for women. and his time studying abroad. alternative healing therapies and HIV/AIDS. a new genre of humorous short-story writing. Indonesia for the first time since 1965.
position amongst Indonesian literary circles. 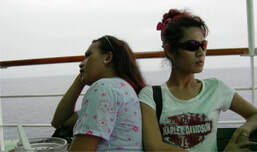 Ronggeng Dukuh Paruk, set totally outside his Moslem upbringing. 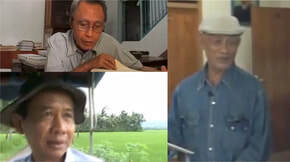 himself as one of the most shining writers from the East of Indonesia. her love and close proximity with nature and the environment. 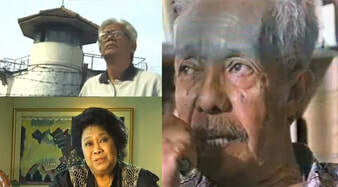 Kuntowijoyo (1943-2005) was raised in a Javanese Moslem family. of foreign literature into Bahasa Indonesia. WE NEED TO TALK ABOUT PARENTING! It is about the friendship of four high school kids, Zeke, Konji, Suki, and Orly. They can not go on vacation because their videos that criticize teachers, schools and parents, become viral in their schools. They were sentenced to not to go on holiday. A school holiday that does not seem special, ultimately leads them to events and adventures that give meaningful lessons in their lives. Since then their lives are not the same anymore. to convince his girlfriend Nisa's father, that he is the right guy for her. take the children to school, yet the husband keeps on sleeping. This irritates the wife and she takes the children to schol by herself. Little does she realize that it is Sunday. A girl must face her nightmare which is her own mother and old family traditions when her father passed away. living in Bugis culture in the midst of modern world ruled by binary system. of five genders, and one of them is calalai. Who is calalai? religious views that he believes. After being disowned by his family for coming out as a transgender woman, Renata comes back home. matter, if the chance is real or a mere whisful thinking. His name is Biru Laut. Just like his name, the end of his life was there, at a bottom in a dark, quiet, silent place. From the bottom of the sea, he told his death and his previous stories.